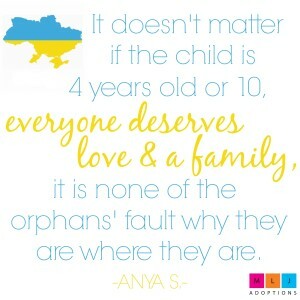 Anya participated in MLJ Adoptions’ Ukraine Hosting Program in 2006. She and her siblings were adopted by her host family. Anya shares about her hosting experience and how her life has changed since being welcomed into her forever family. I was 12 years old when I came to America, I was just about to begin a new life I always dreamed off. I had a few opportunities to experience the hosting program. I traveled to Italy twice & to Alabama once on a search for a family, but it didn’t seem like I had much luck. 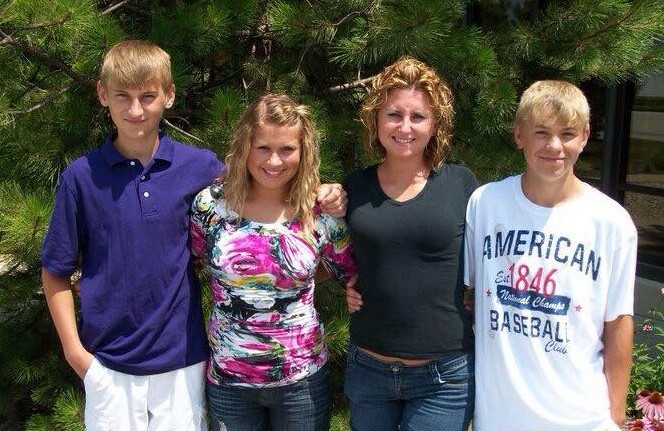 That is because God had designed a family for me & my siblings in Indiana and I couldn’t be happier. After having such a rough childhood and 4 years of the orphanage life in Ukraine I wanted nothing more than just having someone truly care for me, Be there for me & my siblings, love us so that one day we would know how to love others & our own kids. I never felt secure, or wanted until someone had said they wanted me to be their daughter. I am 21 years old now. Here is a short version of my first experience in the United States, I was nervous as can be but more excited than anything because I realized I have a family, I have two great people that already have so much love for me that they didn’t care what I’ve been through, they knew there would be many challenges down the road, but they didn’t care, they claimed me. I couldn’t of asked for a better miracle. And for once I felt so secure & important. The hardest adjustment was going to school here, learning the language wasn’t as hard for me but I watched my siblings struggle although God made sure one of us was able to help the other, & I tried helping my siblings get through it. Life was frustrating at first because the culture & the people were different than from where we came from. It was hard to connect with the kids at school as I excepted it to be. My family introduced me to God, we attended Indian Creek Christian Church every Sunday, after a few years of being here I got involved in the little kids ministry program. I was introduced to many sports, which became a huge part of me. I was a varsity athlete of soccer, softball & basketball. I graduated high school with academic honors, looking back on my life I can’t help but smile. It is very rare that older children like me get adopted, it’s sad because their time is running out the older they get the lesser chance they have to be able to have a family. It doesn’t matter if the child is 4 years old or 10 everyone deserves love & a family, it is none of the orphans fault why they are where they are. I was also introduced to many holidays, that I never experienced in the Ukraine. I love Thanksgiving, Easter, July 4th, Halloween but especially Christmas, our family gets together for those holidays, we enjoy playing silly games, eating food, watching football games together, I love the bond we have during those times. One of my favorite memories throughout this journey is the time when I get baptized in 2008, it was such an amazing unforgettable moment. My whole family was there around the water praying with me, then after I came out of the water they all hugged me with joy. After the baptism we went out to lunch & spend some quality family time. I was a new Anya that day, it felt so refreshing, and I was reminded how much God loves me & how he has such great plans for me. I hope all orphans who feel so lonely & unloved like I did get to experience something like that at least once because there’s nothing like having an incredible family that loves you unconditionally. I am now a junior in college, I am in a new phase in my life, where I am trying to decide a career for myself. I am currently a junior in college, and on my way to be an elementary teacher. I am a one blessed individual! I can’t believe it’s been almost 10 years since I participated in the Ukraine Hosting Program. If you’re interested in learning more about our Winter Hosting Program, please contact Lydia Tarr at lydia@mljadoptions.com. If you’re not able to participate in the Winter Hosting Program, but desire to help a child from Ukraine participate in the program, we welcome donations.